Purpose: To pass on messages & communicate. 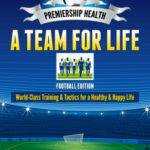 Your HormoTeam is essentially the chief communication centre for your body, it connects all the other teams at your club. Its management structure consists of the hypothalamus and pituitary gland, both the size of a pea and situated in the brain. The Hypothalamus is the chairman of your HormoTeam; it takes in information and then communicates with the pituitary gland. Now, although the pituitary may be the acting manager, make no mistake about it, the power lies with the hypothalamus chairman, who ultimately has the final say in which HormoTeam players get picked. One of the Hypothalamus’s major jobs is to manage homeostasis or balance. It checks the vital signs like the temperature, fuel gauge (hunger), blood pressure and also monitors how the game is progressing. In much the same way a chairman will check the bank balance and pay the bills and then allow the manager to get on with their job. In other words, the hypothalamus makes sure the environment is right for growth and then allows the pituitary gland to manage it. It does this by responding to signals from the environment, both internal and external, and it also responds to stress and controls the daily routine exercises, like the night time secretion of melatonin to induce sleep and growth. TSH – thyroid and metabolism. LH & FSH – ovaries or testes. Oxytocin – uterine contractions during labour and milk production during breast-feeding. GH – regulates growth and metabolism. To highlight the state of play, I will outline arguably two of the most crucial roles of the HormoTeam in the modern game today. Stress and growth are both incredibly important for Premiership Health, if you want to avoid relegation and gain promotion. When your team is facing relegation it can be very stressful. Always worrying about where the next points are going to come from. How the team is going to survive in a lower division, which players are going to leave and how many fans you are going to lose? What good can come from this, and what can I learn from this experience? It cracks pipes and it creates diamonds. I know which one I would rather have!